Wishes & Blessings, a Delhi-based NGO is here to help you take positive steps towards trying to make a better and happier society for all. The organization acts as a link between helpers and those who need help, i.e., between the donor and beneficiary. You can make a difference by volunteering with them for a cause you believe in - strengthening infrastructure, promoting literacy, feeding the homeless and relief work. Here are some of the ways you can help make a difference and spread happiness. Everyone has the right to daily wholesome meals and you can make that happen! Volunteer for this program and help them provide nutritious meals to over 350 homeless people (and counting) in Delhi/NCR. Till date, they have sponsored over 5 lakh meals. They’re constantly trying to expand their reach and extend the programme to reach more beneficiaries. Even you can make a difference by donating towards this cause. 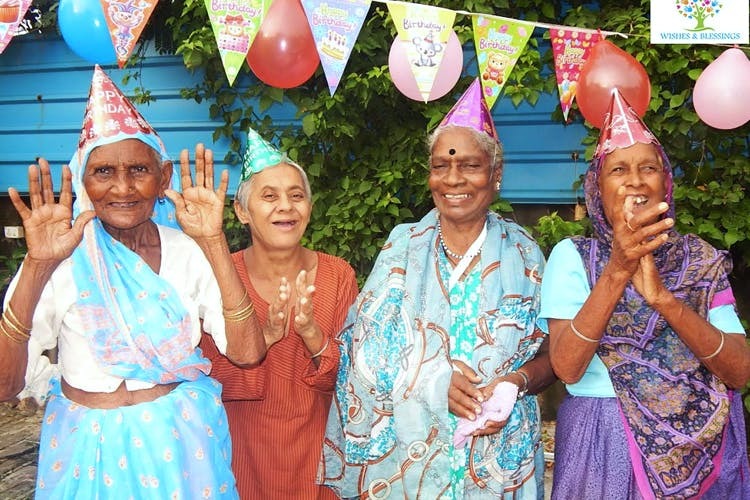 Did you know the count of old age homes in India is just 700? Surprising, right? Wishes & Blessings set up their first old age home, Mann Ka Tilak, to provide a happy place with daily essentials at no cost – a safe accommodation with a loving environment for 15 women presently. While donating is an option to support the cause, we say go the extra mile by spending a few endearing moments and help them live a brighter, chirpier day. If your daily schedule leaves you with no spare time, here’s the option to sponsor a childhood and have the NGO take care of their well-being. Just sign up with them for as little as INR 2,500 fee per month and see your wishes for a better educated world come to reality. You can even partner with a friend to split this contribution to make this possible for a special child. It’s such a happy feeling to see a child make progress. You don’t have to be a Good Samaritan to bring about a change. If there’s a societal issue that leaves you angry, spare some time from your schedule and volunteer for it. If you have the intention, make it happen!